Mounted Parades | A Song for the Horse Nation - October 29, 2011 through January 7, 2013 - The National Museum of the American Indian - Washington, D.C. Native Americans often mark important occasions with a display of horses in elaborately decorated gear, honoring the role of the horse in their lives. By the mid-1800s, demonstrating family wealth through lavish horse gear was a major part of victory celebrations and of parades into trading posts. 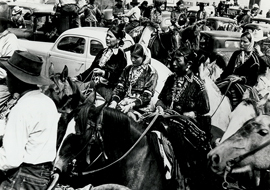 The move to reservation life in the late 1800s did not stop the tradition. 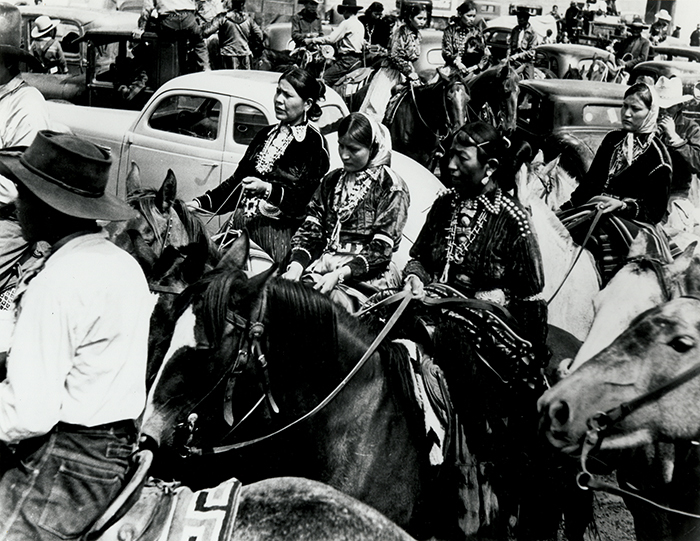 Mounted parades became an integral part of fairs, rodeos, and other events where Native people could proclaim their identity.